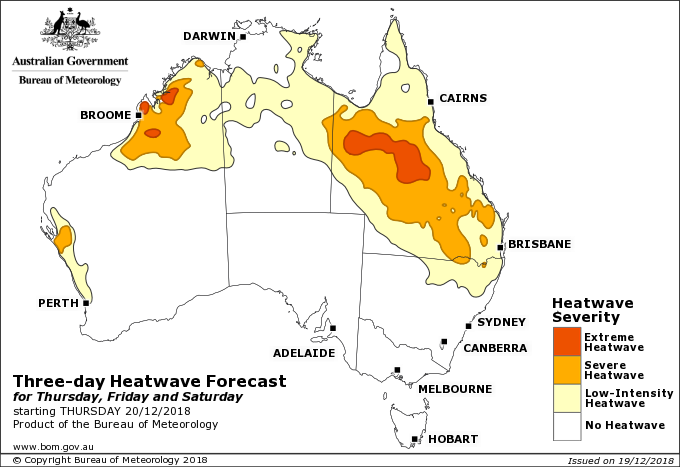 AUSTRALIA is set to see more frequent extreme heat events and marine heatwaves, an increase in extreme fire weather, and declining rainfall in the south-east and south-west of the continent as the climate changes. These are some of the key observations detailed in the latest State of the Climate report released today by CSIRO and the Bureau of Meteorology. It focuses on observed long-term trends that are happening now and are likely to continue into the near future, as well as significant climate events that have occurred over the past two years. lines of evidence show the climate system changing in ways that are discernible from natural variability, and consistent with a human influence on climate. These changes are having an impact on our natural and built environment. State of the Climate 2018 can be read on either the Bureau of Meteorology or CSIRO websites. The online report includes an extensive list of references and useful links. You can also watch accompanying behind-the-scenes videos on our research on climate extremes and ocean warming.